Spendwise Moms: $2 Camis at Old Navy! $2 Camis at Old Navy! 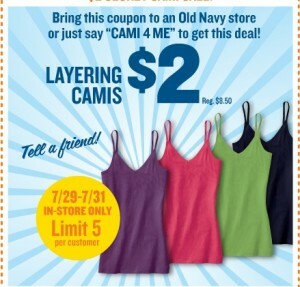 Old Navy is having their Camis for $2 each from July 29th through July 31st. Look here to print off a coupon. For more details, see here.